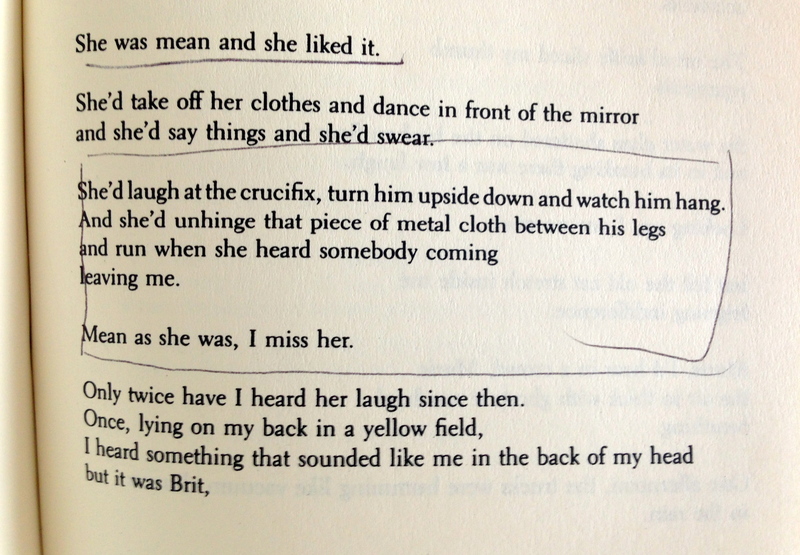 An image I loved from The Split by Marie Howe. Published in her book The Good Thief. Part of The National Poetry Series. This one selected by Margaret Atwood.